I had to finish up the Selection Series...I love love love YA fiction and the selection series was seriously so easy breezy and a great brain break. 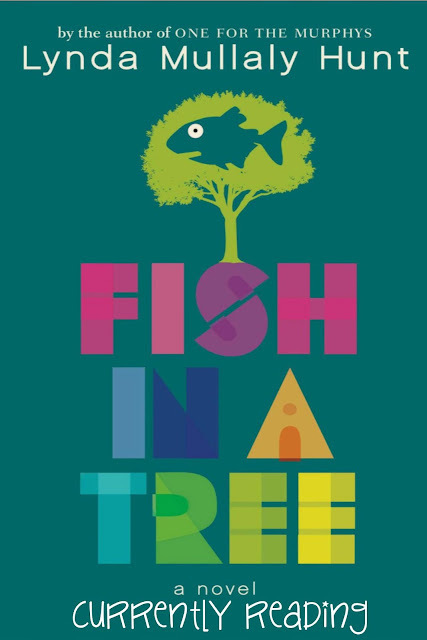 HOWEVER, I am so excited to be in the first few pages of...FISH IN A TREE by Lynda Mullaly Hunt. I love it already! Have you read it!? Is it a tear-jerjker? I feel like it's going to be! Do you feel like you know so many students that have floated, pushed, and struggled through school just like Ally? I DO! And it breaks my heart but I love the story and can't wait to finish it!